Artist Amber Cowan, who is also an adjunct professor in the glass program at the Tyler School of Art, Philadelphia, has been awarded The Corning Museum of Glass's 29th Rakow Commission. The program provides $25,000 to encourage artists working in glass to explore new types of work without concern for financial limits, and has been offered to select artists each year since 1986, when the late Dr. and Mrs. Leonard S. Rakow created it. The award goes to an artist not yet represented in the museum's collection, and who is identified by the curator of modern glass, currently Tina Oldknow. The Rakow Commission works become part of the Corning permanent collection. Cowan, who is represented by Heller Gallery in New York, graduated from Salisbury University in Salisbury, Maryland, with a BFA in 3-Dimensional Design and a concentration in glass. 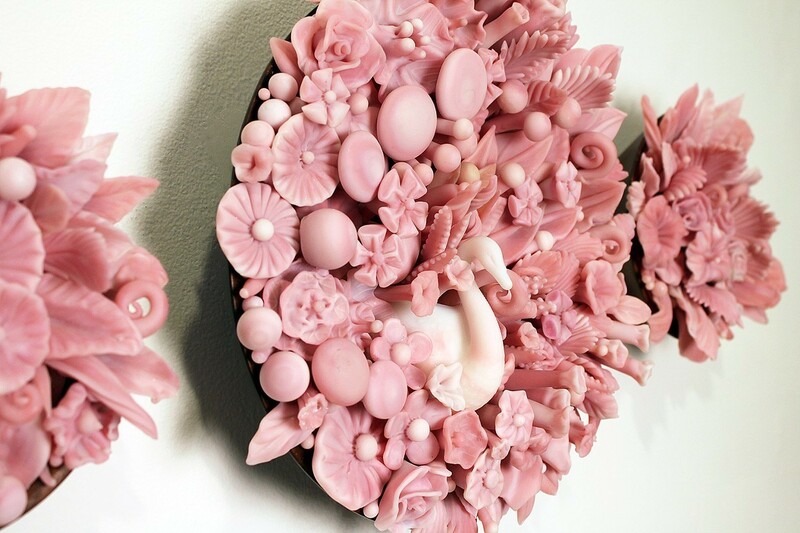 She earned her MFA in ceramics and glass from Tyler in 2011. Cowan's work has increasingly focused on the creative reuse of discarded industrially produced glass. 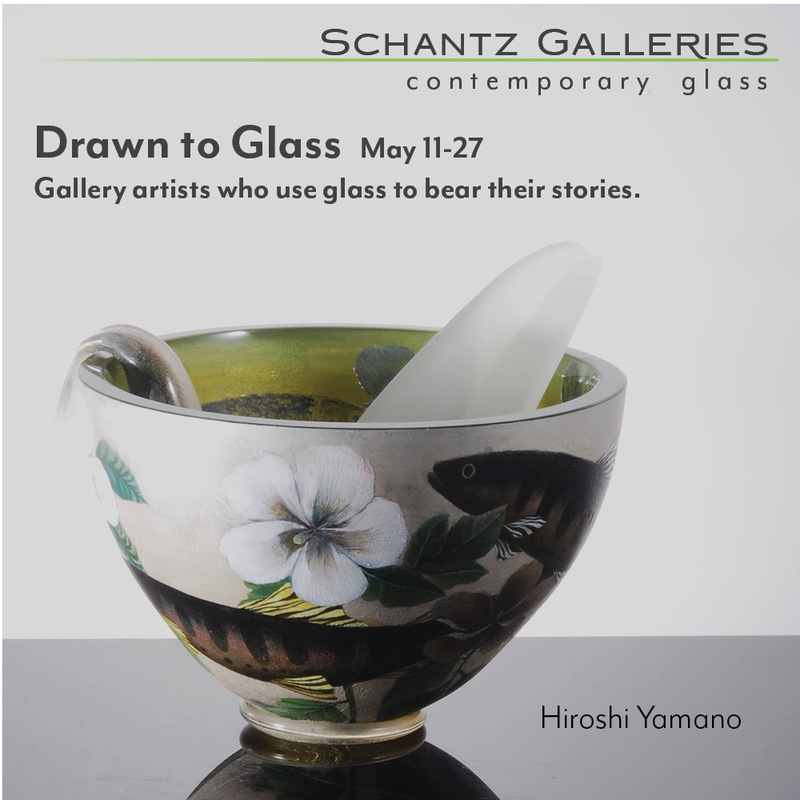 Her intervention is to locate and then reimagine the work through painstakingly cutting and remaking the glass by hand into elaborate one-of-a-kind abstract sculptures, often with a floral quality to the elaborate patterning. "I first became acquainted with Amber’s work when she was a student at Tyler, and I have been watching it develop since 2010 with great interest," said Oldknow in an email exchange with the GLASS Quarterly Hot Sheet. 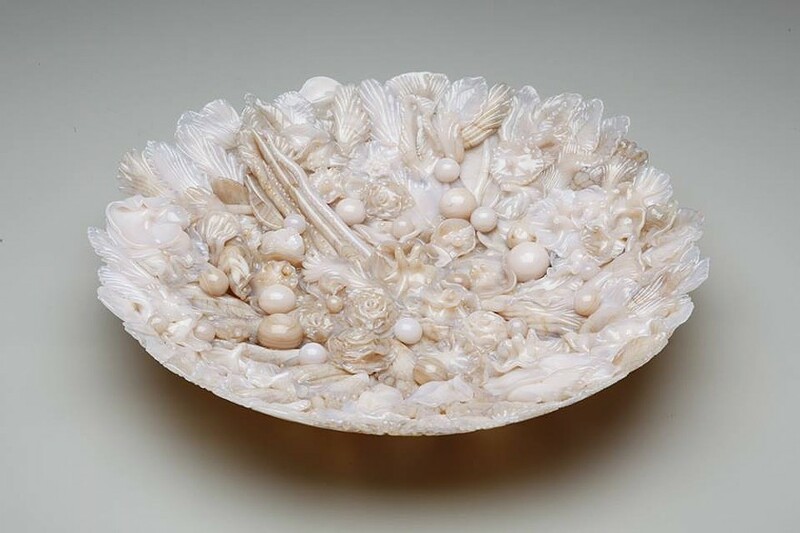 "What attracted me to her work originally – and still intrigues me – is her use of a kind of glass (American pressed glass from the 1940s to 1980s) that, as she says, has been 'abandoned to the dust bins of American design.' Love it or hate it, Amber takes this ubiquitous commercial glass and gives it a new, cool life, transforming it by destroying it and re-forming it into beautiful and evocatively retro sculptures. For me, Amber is a perfect candidate for the Rakow Commission. For this commission, I have sometimes picked artists whose work is clearly contemporary, but who also help us understand different aspects of the history of glass. For this purpose, I am not looking for work that replicates earlier styles, but rather work that interprets or contextualizes them in new ways. Thus, we had Josiah McElheny’s homage to modernism in 2000, Isabel de Obald¡a’s exploration of the “primitive” in 2009, and sculptures by Debora Moore and Steffen Dam, in 2007 and 2012, that reflected the impact of the Blaschkas. Amber’s work also addresses contemporary concerns about object making, and I appreciate her fresh take on the potential of what she describes as 're-cycled, up-cycled, and second life' glass. 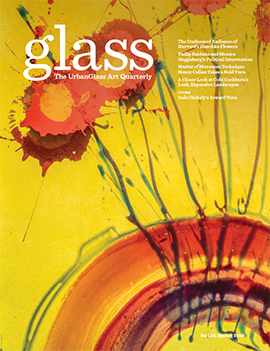 Cowan's Rakow Commission work will be featured on the cover of the 2015 edition of New Glass Review.